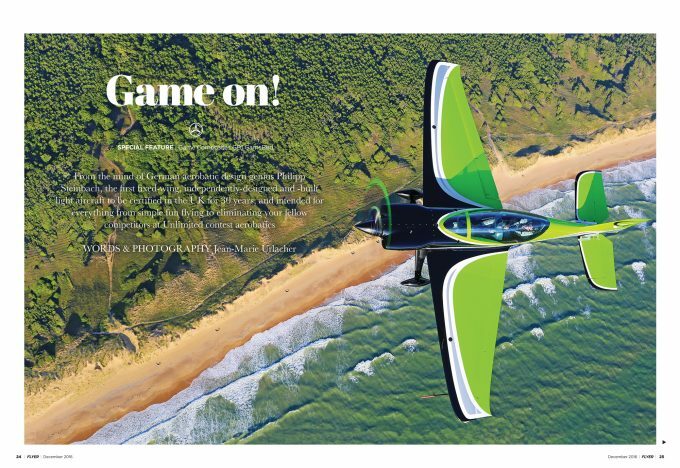 Cover story this month is a report on Game Composites’ GameBird GB1 two-seat aerobatic aircraft, designed by German aerobatic ace Philipp Steinbach, developed in the UK, financed by Walmart heir Steuart Walton and it will be built in the USA. 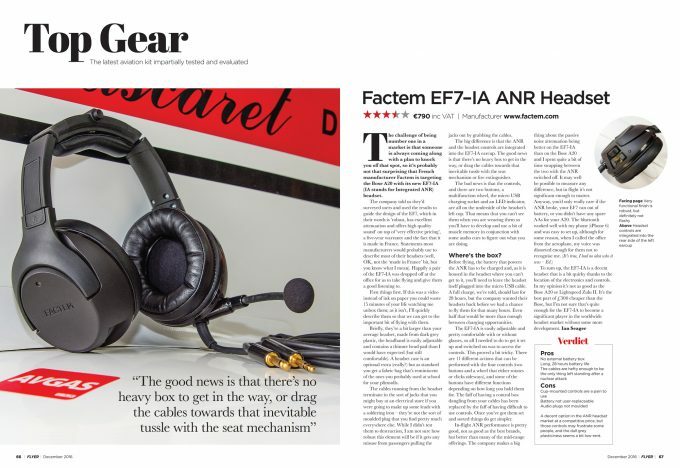 It goes head to head with the Extra 330 – even down to the exact same price. The Earthrounders’ Choice is how we describe the Beech Bonanza. 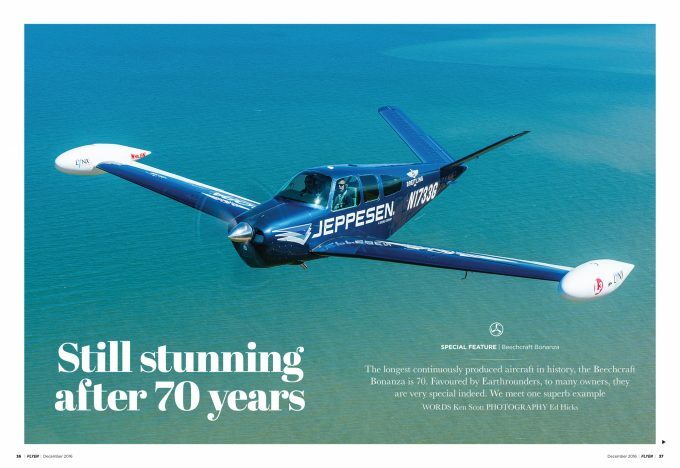 It’s been in production for 70 years and is the longest continually produced aircraft in history. Specifically, we look at one superb example, Adrian Eichhorn’s 1962 V-tail BE-35, an aircraft which has flown around the world in Adrian’s hands. 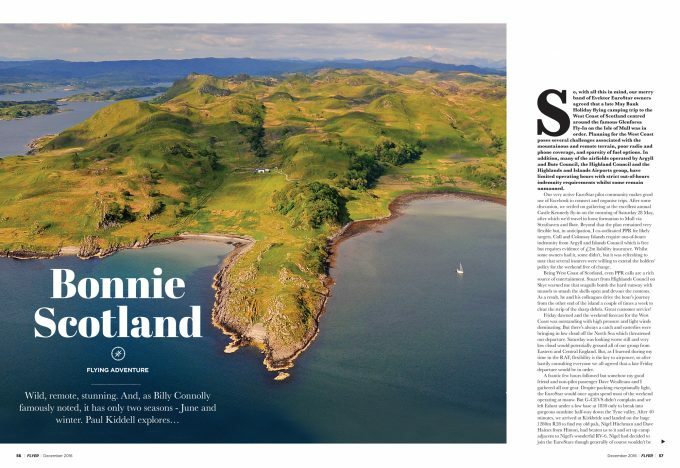 At the other end of the aircraft scale is the two-seat EuroStar EV-97 which Paul Kiddell flew to Scotland to explore the wild, remote and stunning Highlands and West Coast. Careful fuel and weather planning are essential but the reward is ‘world-class’ scenery and a remarkable weekend adventure. 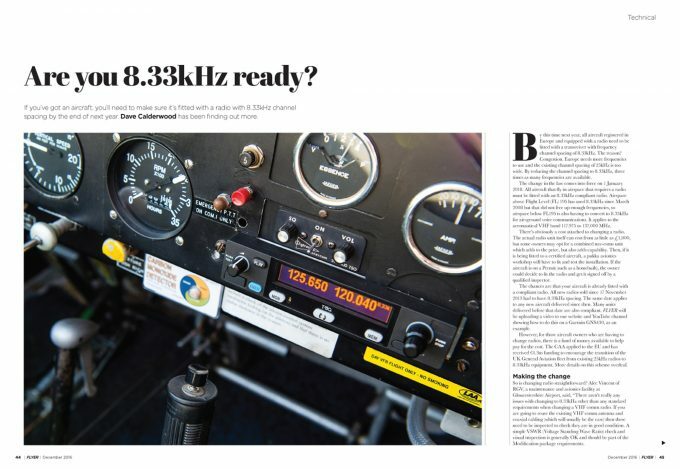 There’s no getting away from the need to have an 8.33kHz radio in your aircraft by the end of 2017 and this month we have a guide to what you need to know, and a look at the products available. 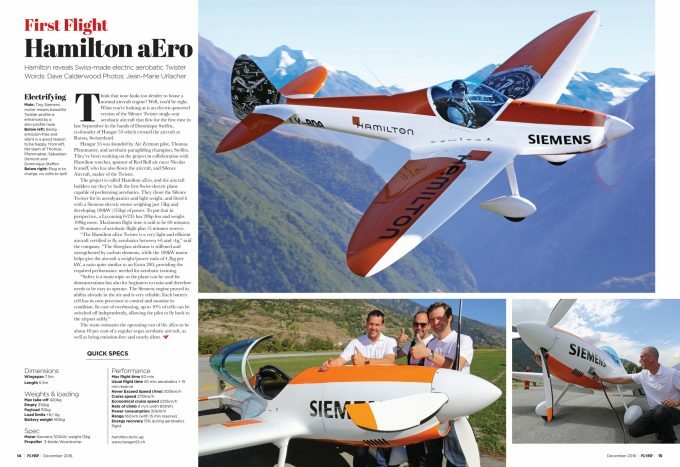 We report on the first flight of the all-electric Hamilton aEro, a Swiss-made Silence Twister, interview Red Bull racer Nigel Lamb as he hangs up his racing wings, and examine the limits of the ‘see and avoid’. 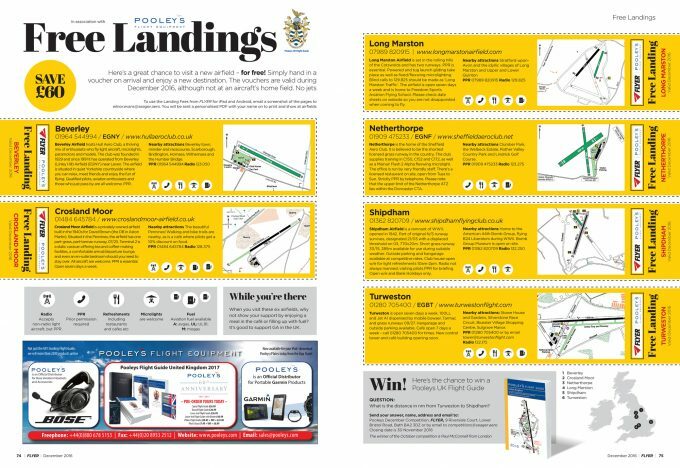 Plus, of course, 6 free landing vouchers for a great selection of UK airfields, worth a total of £60 in all (more if you’re flying a twin). 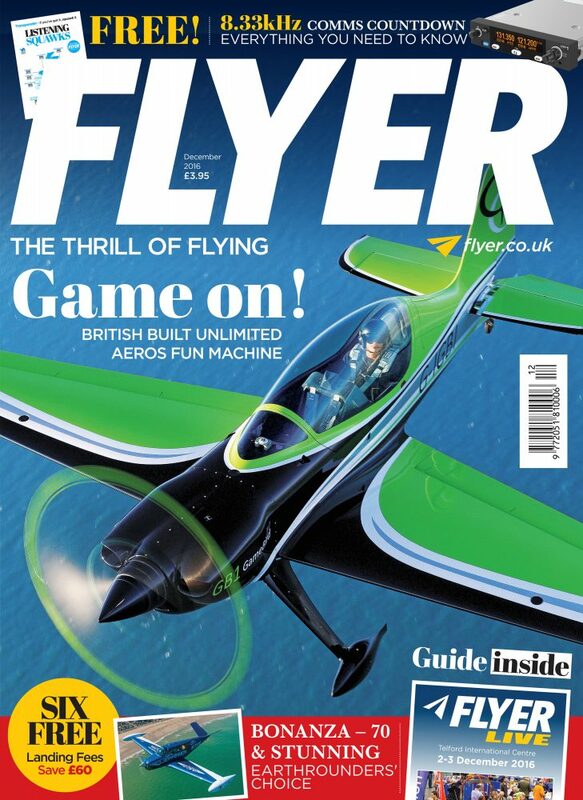 All this and much more in the December 2016 edition of FLYER on sale now. Click here to take advantage of our latest subscription offer, or, if you’d prefer a digital edition, click here.